This is why I know what Mary Landberg is offering to families with a loved one in hospice care is truly a gift and I know you will enjoy reading Mary’s post about her very special project. She has generously offered to give away a copy of her book as well, so be sure to check out the giveaway details at the end of this post. Her photographs are truly inspiring. You cannot help but be moved when you look at them. Yes, you see individuals at the end of life, but mostly you see love. I had trouble choosing just three portraits to share with you from Mary’s wonderful selection, but you can view more on her Facebook page. Thank you, Mary for sharing about your amazing work. I am a hospice RN in rural southern Oregon. Though perhaps not many would choose to do what I do, for me it’s a tremendous privilege to spend time with the dying and I know I am a better person because of it. I am gifted with endless reminders of the value of selflessness and unconditional love. My faith in human connection is constantly renewed. My profession helps me be more of the person I want to be. All of my patients have been told they have six months or less to live. Along with such news comes a whirlwind of opportunities for me to help them live while they are still alive. In return, I have learned how to be more present as well as how to live and love more fully. In addition to being a hospice nurse, I am a photographer and I have been offering free hospice portraits to families for about four years. I strive to photograph that unwavering expression of love that endures between people dealing with terminal illness. Love is all that is left in the end; love is all that matters. To date, nearly 350 families have given me permission to bring my camera into a most sacred and vulnerable time in their lives. I gift the families a framed print and images on a CD. All costs for this service come out of my pocket. It is a way for me to give back. For years I have been asking the dying for advice on how to live. I ask questions about the meaning and purpose of life. I ask about dying wishes, legacies, and love. I inquire about regret. I am on a mission to share with others the grand wisdom about living and dying that I have been gifted. Recently I authored a book called, Enduring Love: Inspiring Stories of Love and Wisdom at the End of Life. I also have another book in the works, The Last I Love You, scheduled for publication in 2015. Enduring Love is a collection of over one hundred portraits of hospice patients and their families embracing love and life. Many portraits were taken on the last day of life, some within moments of the last breath. The portraits are accompanied with grand love stories, conversations with the dying, their advice for living, and the wisdom their illnesses have gifted them. 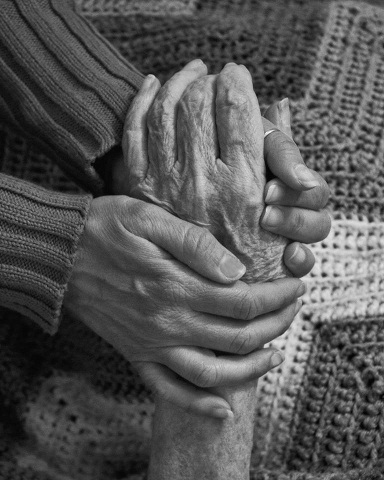 There are glimpses into hospice care and the truth about what death and dying looks like. It is my mission to travel the country with my portraits and stories speaking to as many people as possible about death. I want to ease some of the fear about death, help define the purpose of life, inspire people to live and love fully, and encourage conversations about death and dying so people can best plan for the end of their lives. I am always looking for venues to speak where I can share about my mission. I have recently received wonderful endorsements from leaders in the hospice and medical industry. Please take a moment to explore the Praise tab on my book’s website for testimony from hospice workers and families across the country. Many people don’t start living until they know for sure they are dying. Then there is a rush to live their unlived life. There is an urgency to resolve old issues and create happy memories for the people they are leaving behind. They thought they would have more time. We are, after all, sometimes experts at postponing happiness. Why wait to live until death is knocking on your bedroom door? Don’t wait; live fully and love fully right now. Through my photography, writing, and storytelling, I want to share this message with the world. I am honored to be able to do so by sharing portraits and wisdom gathered through my hospice work. 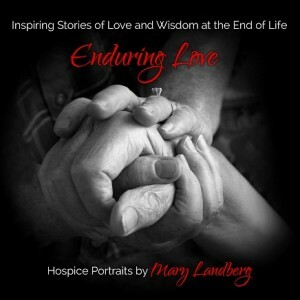 Mary Landberg, MPH, CHPN, is a hospice RN, celebrated author, and nationally award-winning photographer recognized by the National Hospice and Palliative Care Organization. 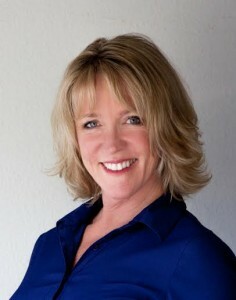 Mary offers dynamic presentations to ease the fear of death, encourage conversation for best end of life planning, define the purpose of life, and to inspire people to love and live life fully while alive. Contact Mary via her website. To enter my giveaway for a chance to win a FREE copy of Enduring Love, leave a comment stating you’d like to enter by 11 pm on Monday, November 24th CT. The winner will be announced shortly thereafter right here on this post. Also, feel free to share about how Mary’s portraits touch you, or feel free to ask her a question about her incredible work. I am in awe of what Mary does. What about you? Below is a small sampling of Mary’s moving hospice portraits. You cannot help but be touched by them. The winner of the giveaway is Linda! Congrats, Linda! Remember to sign up for news from Nancy’s Point. Thank you to those who have! Very touching, i have a very good friend who works in palliative care it is a special ability to be able to work with people in their last few months of life. Helen, It does indeed take a special person to work in such a field. Mary Landberg is one of them, just like your friend. Thank you for reading and commenting. It’s so hard to talk about dying and loss. I would think this book would really help people talk about dying or at least feel less alone. I would love to win a copy of the book. I’m sure the photos will make me cry, but some will also be heartwarming or inspiring. Thanks for the reminder to live life! Lindsay, Death is a hard topic and definitely one that is often avoided. The portraits are heartwarming and very moving and yes, some bring tears, but that’s what good photography is supposed to do, move us. Thanks for entering! The pictures are incredibly moving. The dog in particular really touches my heart. I would like to enter the contest in the hopes of seeing more of this incredible book. Sharon, They are very moving indeed. The dog one got to me too. There are more images that include pets in her collection. Consider yourself entered in the giveaway. Thank you for participating. Amazing pictures. I would like to enter the contest and see more of the book. I work in a nursing home–would love to put the book on their shared reading table. To love and live life fully every day is something I too strive for. Sue, That’s a wonderful idea to share it at the nursing home where you work. Thank you for participating. Good luck! how lovely to share about this wonderful woman, this devoted and committed hospice nurse who has combined such beautiful and sacred portraits to enhance the story of her work – though I would hazard a guess that work is more of a calling, the gift of grace that enables her to be so honored and fulfilled to be fully present in the care she renders with such tenderness and skill. 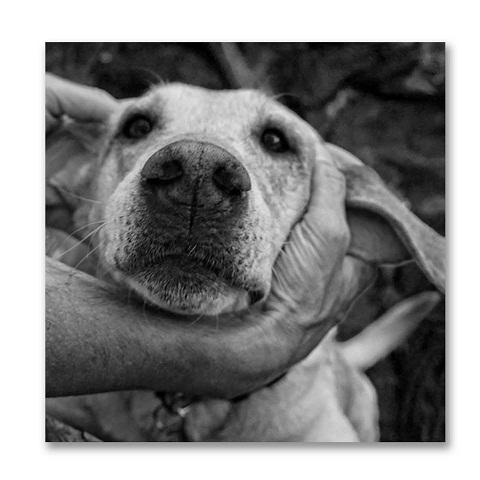 I, too, love and am so touched by the portrait of the dog. and I still recall from my own hospice experience how dying patients were so grateful that we included families’ pets in our ministrations, taking the time to get to know their personalities, their feelings and how they expressed them, and always reassuring them and their persons of understanding the sanctity of the bonds they had formed. it was such a gift when we could actually see a pet respond when a patient was in pain and we flew into action to get that pain under control, whether it was physical or emotional pain relieved, one could almost hear a sigh of relief, and really see the effect it had on their pet – the look a gratitude in their faces, tails wagging happily, and such peaceful and more calm demeanors. thank you for sharing about Mary and her book. I know the lucky winner will treasure it. much love to you, Nancy, and to Mary for the beautiful stories and portraits she has woven together, and for doing such meaningful and much needed work in speaking out about death and dying issues. Hospice care is an incredibly important area of work and not well appreciated or even understood. Thank you for sharing this post and the very touching photos. I’d love to be entered in the giveaway for the book. Lisa, I agree completely. Thank you for entering my giveaway. You’re in! Linda, You’re in! And thank you for participating. 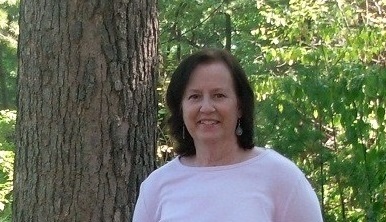 Thank you, Nancy, for lending Mary’s voice to this guest post. Mary, what you do is so important, I cannot express it in words. All I can say is “Wow” and to keep doing what you are doing. You have helped countless lives through your RN work and photography. Beth, “Wow” is a good word in this case. What Mary does is really something. So pleased to have featured a few of her thoughts and a few of her portraits via my blog. Thanks for reading and commenting, Beth.